Atomos monitor/recorders are a great way to get the most out of your camera's sensor. One of the downsides to this professional monitor and recorder is that it lacks a professional power connector. That's where Media Blackout comes in. ou Lemo Upgrade for Atomos Inferno/Flame removes the DC barrel power connector, and replaces it with a genuine Lemo connector. This modification requires the purchaser to send in their Atomos monitor. 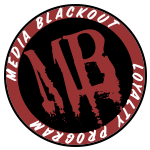 Media Blackout does not currently offer new devices with modifications already applied. Return shipping will be calculated on checkout. Cables can be purchased separately. Please check out our 2-pin Lemo Cable page for additional cables. Output cables will be appropriately wired for the output polarity you choose. Need to know more about 2-pin Lemo polarity? Check out our Help Center Article. Other devices may be suitable for modifications as well - just contact us to find out. All Media Blackout cable assemblies use genuine parts and high-quality cable. Cable assemblies are made to order at our office in Los Angeles, CA. If you need custom assemblies, please contact us.